An APOSTILLE specifies the modalities through which a document issued in one of the signatory states or countries can be certified for legal International purposes in all of the other signatory states or countries. Such a certification is called an apostille (French: certification). It is an international certification comparable to a notarization in domestic law. Apostilles are affixed by Competent Authorities designated by the government of a state which is party to the convention. 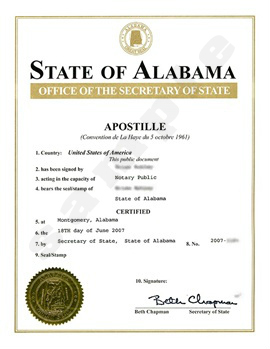 To be eligible for an apostille, a document must first be issued or certified by an officer recognized by the authority that will issue the apostille (PUBLIC NOTARY). Later you can APOSTILLE your documents in the SECRETARY OF STATE of your country. Search in GOOGLE for the nearest SECRETARY OF STATE. We can apostille your documents, so please contact us for details. DO I NEED TO APOSTILLE OR NOTARIZED MY DOCUMENTS? If your documents are not from one of these countries (SEE LIST BELOW), you must notarize all documents in the DOMINICAN CONSULATE OR EMBASSY in the country of origin prior to arrival. If your documents DO come from one of these countries (SEE LIST BELOW), you must APOSTILLE all documents prior to arrival. CAN I START THE PROCESS OF RESIDENCY FROM THE DOMINICAN REPUBLIC IF I DON’T HAVE THE RESIDENCY VISA? Yes, we can start the process at our office located in Santo Domingo. We will schedule an appointment to consider your case personally.